The Fourth Squad is investigating a Robbery that occurred on Monday, November 24, 2014 at 11:26 am in Valley Stream. 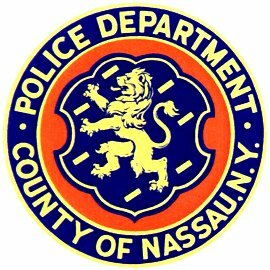 Valley Stream, NY - November 26th, 2014 - The Fourth Squad is investigating a Robbery that occurred on Monday, November 24, 2014 at 11:26 am in Valley Stream. According to detectives, an unknown subject entered T-Mobile located at 116 Rockaway Avenue, displayed a black handgun and demanded that all the customers and store workers move to the back of the store. The subject described as a male black, 5’10” tall, 20-25 years of age, thin build, wearing a gray hooded sweatshirt, dark jeans, gloves, a mask and carrying a black laundry bag, demanded money and property from the 33 year old manager. The victim complied with an undetermined amount of US currency and three new boxed cell phones. The subject then fled the scene on foot westbound on West Mineola Avenue. There were 2 employees and 2 customers inside the store at the time of the crime. There were no reported injuries. Subject: LongIsland.com - Your Name sent you Article details of "Man Wanted for Robbing Valley Stream Cellphone Store"